The HP Procurve Switch 4100gl series are convergence-ready and easy to use in compact 8-slot and new 4-slot modular form factors. Combined with HP's Fast Path Technology, these switches also provide high-performance, reliable connectivity for a growing network. 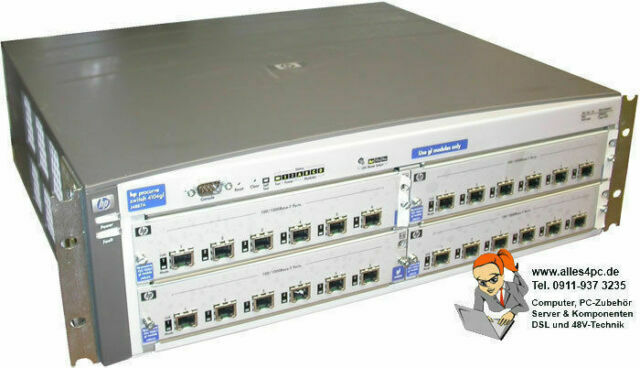 The Switch 4100gl series are the low-cost, modular alternative to stackable switches. The HP Procurve Switch 4100gl series deliver high performance to the desktop, especially for key network services such as the Internet and other demanding applications. These switches are ideal for network managers who want increased connectivity and overall performance, and network users who want better application performance.